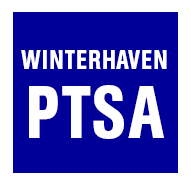 Winterhaven School PTSA can be the beneficiary of a small percentage of your Fred Meyer purchases! Log in to your Fred Meyer Rewards account (email or phone number). Select the school and then click OK. Winterhaven should start receiving a check each quarter donated by Kroger. NOTE: There have been some questions about whether or not you must continue to renew your designated beneficiary periodically. It certainly does not hurt to validate that Winterhaven is still your beneficiary from time to time. See Fred Meyer's FAQ for more information.